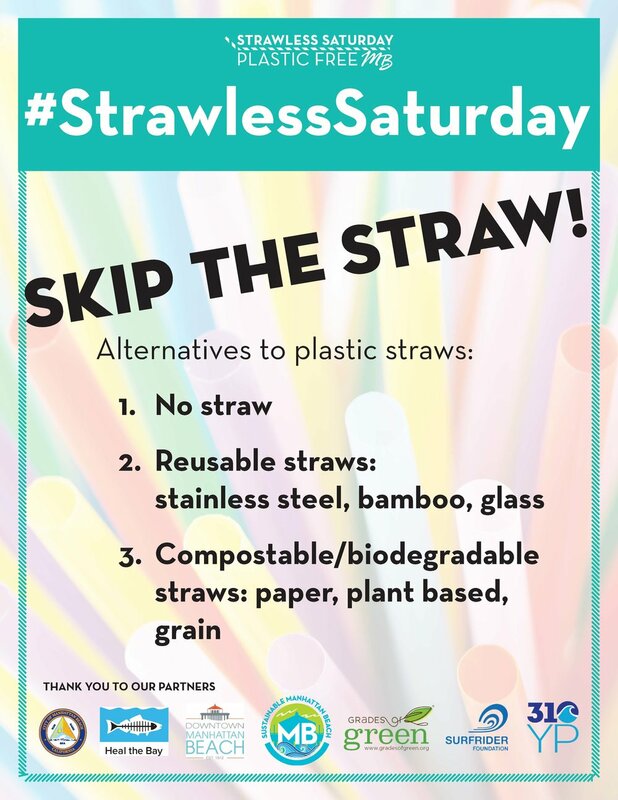 Skip the straw on Saturdays in Downtown Manhattan Beach! 3. Compostable/biodegradable straws: paper, plant based, grain.